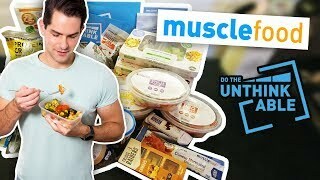 Find the latest Muscle Food Discount Codes, reviews, and compare prices on this brand’s most popular products at Fitness Savvy. 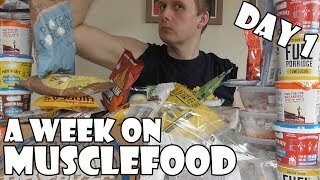 We’ve got everything you need to know before buying from Muscle Food. Simply use the contents menu below to navigate to the section you require. 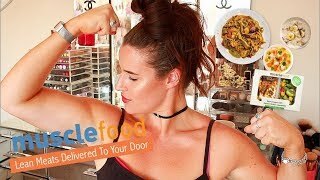 Why Visit Fitness Savvy Rather Than Muscle Food, Directly? The following codes may have expired. Although (potentially) no longer valid, these give you the opportunity to see the kinds of deals available from Muscle Foods. Normal min spend of £25 applies. Standard delivery is £3.99. Applies to orders over £60. Standard Delivery is £3.99. Min Spend £25. One code per order. Order this hamper today & get 36 Stunning Extra Pieces for FREE. Whatever your goal this year – slimming down, getting lean, building muscle or just eating healthier – this hamper is for you. Normal order conditions apply, including £25 minimum spend for chilled orders after discount. Delivery is free when you spend over £75 and just £3.99 when you spend less. The before price is correct as of 4.3.18. One free recipe guide per order. Muscle Food reserves the right to extend or cancel this promotion at any time. Normal order conditions apply, including £25 minimum spend for chilled orders after discount. Super chilled delivery is free when you buy this hamper. The before price of this hamper is correct as of 6th March 2018. Muscle Food reserves the right to extend or cancel this promotion at any time. 3 free meals per customer. 36 Snickers Protein Bars for JUST £20! The Get Deal option will take you to the correct Muscle Food deal page to view the offer. Click “Go to Offer”. This will take you to the Muscle Food offers page where you can view the promotions. Have a nice cup of tea, or coffee, or water, or protein shake, and feel satisfied that you’ve just got Muscle Foods best prices. 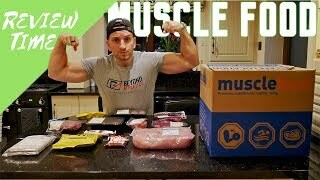 Before buying from Muscle Food, you probably want to know a little bit more about the company. We don’t blame you! That’s why we’ve produced this page. So here goes, we’ve answered all the most popular questions for you. Regarding the cons, in a nutshell, they mostly relate to the auto-subscription model Musclefood now uses. According to long-term customers, this hasn’t always been the case. However, with most of the deals, you will be automatically subscribed for repeat orders. Even when unticking this box, people have still had cards charged and received the repeat order (or in some cases, been charged and not received the repeat order). It’s also worth noting that out of over 76,000 reviews on Trustpilot, only 4% of people rated them less than 3 stars. Over 92% of 76,229 customers rated MuscleFood as Great or Excellent. The service makes meal planning easier and works out more cost effective than shopping in local supermarkets. Food quality is very good, with meat being reported as lean and tasty. A large number of reviewers state that the meat is of better quality than their local supermarkets, too. You can earn loyalty points on your orders. Very often deals on making the prices even more attractive. Multiple customers are not happy with the automatic subscription. When placing an order, it seems you must click to unsubscribe. However, many customers have still received orders – even after unticking this box. Short shelf life for items. Given that this is meat that is supposed to last a week, 3 days is not good enough. Poor customer service when there are issues, according to some reviewers. Founded in 2014, Musclefood was created by Darren Beale, who was frustrated at the high cost of bulk buying meat in the local supermarkets. Within the last few years, the company has grown massively. Naturally, the company has expanded its product ranges to include high protein pizza, low sugar brownies, slimming meals and even low carb pork scratchings.